One of our community's greatest passions is discipleship. For six months out of the year, we dedicate our lives to the mission of the 18 Inch Journey. The 18 Inch Journey is about learning to live a sustainable life with God. The name 18 Inch Journey comes from the average distance between a person’s head and their heart and our desire to empower people to live intentionally from both with the Holy Spirit. During our discipleship season, we open the land of A Place for the Heart to host 18 Inch Journey schools and retreats where teenagers, students and adults come to encounter the Father and discover more about who they truly are. As a community, we love giving half of our year to discipleship and we believe that there is no greater privilege than investing in people’s hearts! We are made in the image of the Creator, therefore we are made to create. In our schools, creativity is an exercise in identity where we pick up a brush to paint and remember that we are a son or a daughter. The creative process is messy and vulnerable, but it is also an invitation into bravery and growth. We are not made to be alone; we are made for community. During our schools and retreats, we experience God while sitting around a dinner table as much as we do in worship or a teaching session. We believe that something is missing if we don’t do life with the people around us and learn to see Jesus in them. When we have eyes to see the Father, worship overflows into everything we do. Whether through music and art or the way we wash dishes and tend the land, worship is a natural response of gratitude. 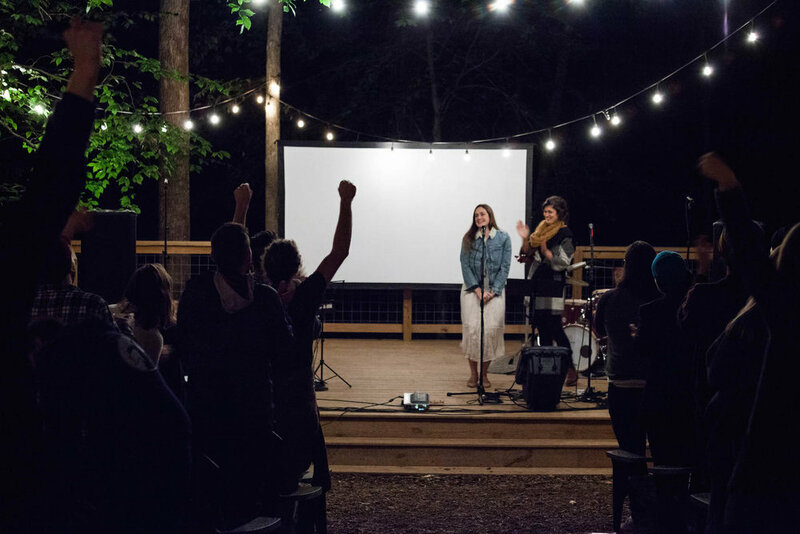 Cultivating a lifestyle of worship is a key element in our schools and retreats.